Sure, all five of us Amazon Books Editors sit around in the same "team room" every day, casting sideways glances at the looming piles of books threatening to topple over and bury us at the slightest tremor, as well as dubious side-eyes at each other. (Don't get me wrong: we love one another.) But it's not often we all squeeze into our "podcast studio" (ventilation is dubious for any extended period of time), but we'll do it in order to talk about our favorite books of the month, which is what we did for this episode. Also featured is Seira's interview with Los Angeles Laker great Kobe Bryant, who has followed up his five-title career in the National Basketball Association with a turn as an author, first with The Mamba Mentality: How I Play, and now with The Wizenard Series: Training Camp (with Wesley King), his first book for young adults. See the show highlights or listen below, and see more shows in our podcast archive, and you can subscribe via iTunes or TuneIn. 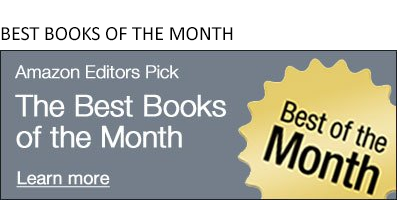 All of our picks for the best books of the month can be found here. The River: A novel by Peter Heller (3:02): "There's definitely a Deliverance vibe, but the hard thing is trying to figure out what the other book is ... It's "Deliverance meets A River Runs Through It." The Lost Night: A Novel by Andrea Bartz (4:49): "I have to say I'm getting really tired of the unreliable narrator ... What I liked about it is that the narrator doesn't realize she's unreliable." An American Summer: Love and Death in Chicago by Alex Kotlowitz (6:30): "It's sounds really depressing, but it's not ... It's sad and it's shocking ... but I'm also really glad I read it. Because it's important." A Woman Is No Man: A Novel by Etaf Rum (8:35): ""It's a wonderful homage to books and reading ... In this book, it's not just a comfort for one oft the characters. It's an act of rebellion." Subscribe to the Amazon Book Review, featuring picks for the best books of the month, author interviews, reading recommendations, and more from the Amazon Books editors.